We're very fortunate to have such an wonderfully enthusiastic community of readers, authors, translators and illustrators. This International Translation Day, we'd like to share with you the reflections of a group of translators who attended our Bengali Hackathon earlier this year. The contributors to this article all belong to the student community. While Sreejita Majumdar did her schooling from Patha Bhavan, graduation from Calcutta University and post graduation diploma in Public Relations and Multimedia. She has also done an internship with the news channel 24 Ghanta and is currently learning Spanish from JU. Her hobby is painting and her passion lies in football, films and animals. Ankita Basu has done her schooling from B.D Memorial and is currently pursuing her graduation from Calcutta University. She's passionate about films, books and writing. Banhi Sarkar has done her schooling from Gokhale Memorial and graduated from Calcutta University. She loves films and books as well and is interested in writing. 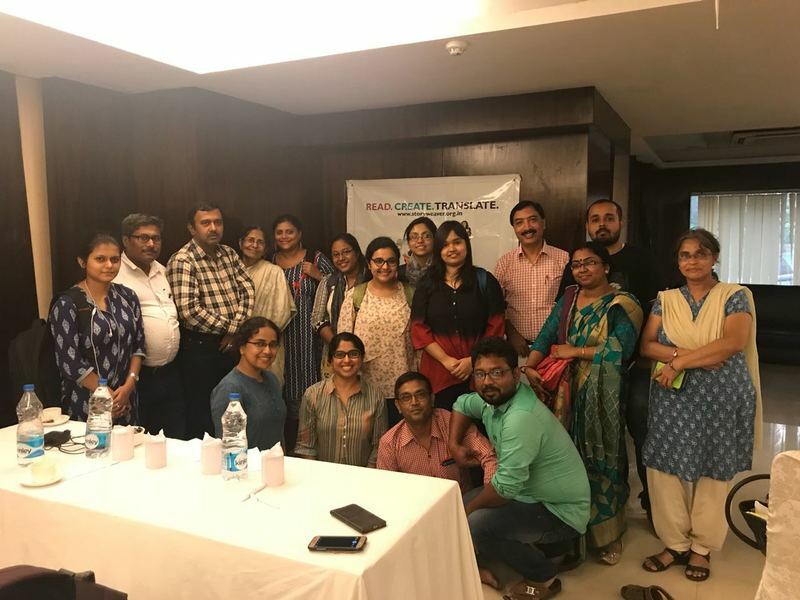 A bunch of us got the unique opportunity to take part in a translation workshop as arranged by StoryWeaver on the weekend of 30th June and 1st July, 2018. The group included people from diverse backgrounds, such as school teachers, students, college professors and language enthusiasts. We had a great time translating quite a few stories over the two days and decided to give a feedback on the same so that it helps in further improving the translation workshops to be held in future. It was a very unique experience in terms of both learning and working on the given stories set to translate. Even for participants in the group who have been to other translation workshops before, this one was more engaging and enjoyable with a much more prompt delivery of the assigned work. We all got to meet a lot of new people with the same interests and passion in the field of translation. The fact that the participants ranged from school teachers to college professors to students made it a very dynamic group to work with. The coordinators provided a very free and relaxed environment, which made the experience all the more pleasurable. It was definitely a challenge to work on children’s stories. None of us had realized previously that translating for adults and translating for children could be two completely opposite poles of the same spectrum. But working in small teams and pre-assigned two to three stories eased the way. We could engage in discussions, ask for advice when in confusion and help out others, all within the stipulated time. The two days period seemed to fly by, and though it was tiresome, it was equally productive and satisfying. However, we did face some challenges in the way which led us to discussions on ways to improve the experience even further for future translators. There were certain aspects we all agreed on regarding the difficulties we faced. We realized since our target audience is children, care needs to be taken to make sure that the words we choose not just have literal significance but that they are both easy and understandable and can fall under the regular vocabulary of a child. 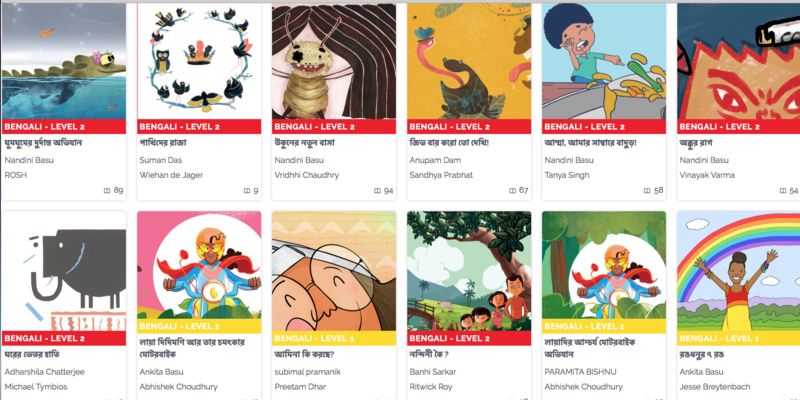 For example, in this story there were quite a few words that had to be translated keeping in mind the vocabulary of the children of level 2 in the Bengali translation of The Louse's New House. The Bengali language is so vast, rich and diverse that it becomes a further challenge to aptly translate all kinds of work from English to Bengali across the entire expanse of its existence. Throughout Bengal, there exists numbers of dialects and forms of the language. As a result, it is important to keep in mind that the translated work should be universal in the sense that it can appeal to a child of both the urban city and the rural village within the same state. For example, we faced situations where a particular word may sound totally innocent on hearing at first, but on further probe, we discovered it may have a negative connotation in a different dialect. So a detailed knowledge about such contradictory words and situations need to be there within the team for effective translation. Also, in the following story for example, there was much pondering over the correct translated word of ‘smooth’ in Bengali that could rightfully carry over the intended meaning from the English to the Bengali version of the story Stick Your Tongue Out! There were quite a few words related to sound that more or less all the teams came across in one or all of their stories during translation. One such example is Miss Laya Starts Her Fantastic Motorbike in Bengali. That’s when we faced difficulty to find the exact word in Bengali that would correspond to the one already used in English. Since it’s quite common to come across such words in children’s stories, we feel it would be great if there was a reference book where all commonly appeared sound words could be listed along with their regional counterparts and their varying connotations. That would save a lot of time and confusion the next time we translate any story containing such words. Since this is truly a one of a kind endeavour, it would be highly appreciated if more publicity could be done regarding this platform. More schools need to be aware of it so that they can include the exercise of reading translated stories to their children across different classrooms and thereby lead to a much wider readership. As already discussed at the end of our workshops, many teachers who participated in it decided to take it forward to their schools and start a curriculum based on reading of these translated stories to their students. It would be very effective if the future workshops could involve people from varying regions and state, in short a cross-regional/national workshop where teachers, translators and writers could participate and interact on a much wider scale to bring about more and more significant children’s stories to light. This could lead to a discovery of more unique works, which usually remain confined within the geographical boundaries, and can reach more children beyond language and cultural barriers.It’s important to keep a balance between the variety of stories being translated and worked upon for children. New ideas and concepts are always welcoming, but we could also work on the classics in each language which may be quite famous in that particular language and thus known to the children of that mother tongue but perhaps remain unknown in other languages. This could help translate the works of authors in regional languages as well. In short, it was a beautiful and cherishable experience that we all hope to continue beyond the workshop in future. We wish all the very best and give our warm wishes to the entire team of StoryWeaver and Pratham Books for their future endeavours.